JW Lees is a family-run brewery in Manchester, producing a unique range of beers. JW Lees also runs hotels, pubs and inns. A total of 11 reviews for Talktojwlees.co.uk have been written yet. The most recent reviews are listed below. Went to the spread eagle in lymm and have been there many times and enjoyed the food. This time a party of us went in and found the menu had changed , the food was very disappointing. Three of us had the lamb and it was chewy and not enough vegetables very small portions. One of us had the lasagne and it was flavourless and no side salad . Very disappointed with the food. We went for tea and we had not been there for some time and I thought the portion was a bit on the small side but the service was good. My partner and I stayed at The Links in Llandudno on Sunday 8th July. The room was amazing with everything you could possibly need. It was spotlessly clean. All the staff from the cleaners to the manager were really helpful and friendly. Will definitely stay there again. Well done team. My husband and I decided to visit" The Rose of Lancaster", this evening 15th June 2018. Seeing that the Rose is only a 5 minute stroll away from the house and we visit roughly once a month for a meal I didn't see a problem until we hit the bar. I love Crabbies flavoured ginger beer but they didn't have it in stock, this on a Friday afternoon. The next thing that was to come was when I requested fish & chips for my mains, they had run out of fish, this was on a Friday afternoon at aprox. 4.30pm. No fish on a Friday, is the Pope catholic. To say that a very popular pub, like the Rose not to have fish on the menu was very disappointing, it really didn't make my day. well worth the 40 mile round trip; no T.V no loud music; no games tables or dartboard. Excellent service by young and very polite staff - nothing to much trouble (even when being unable to choose my pint - the answer - 2 samplers did the trick) The two starters were quick to arrive (pate - big plate and chicken dippers; wish I had had the larger portion - delicious) Mains, both salad - a change from the norm. Called in The London Bridge in Appleton, Warrington tonight. As per Christmas period the place was packed. Pleasantly surprised how quickly we were served and subsequently sat down for our food. Me by friendly efficient staff who were only too pleased to help. Loved the Manchester Pale Ale. We started with a sharing platter which was fabulous followed by the Hunters pie for me and Lamb shank for my wife. Have to say I wasn't disappointed. The pie was lovely and the lamb cooked to perfection. What I particularly liked was the real chips. All the staff appeared to be busy and attentive but special mention for Craig and Peter who looked after us. Pub welcoming very clean,staff very friendly and food was excellent. Would highly recommend. Went to the spring well inn at Rochdale. Fabulous pub with brilliant facilities for children with a play garden at the back of the place. Good food and very reasonably priced. The staff were the friendliest I have ever come across and made you feel comfortable and at home. The team members Hayley and Rob made our day and nothing was too much trouble. Called for something to eat on our way past, we knew nothing about the place, never been before and will not be returning. We had quite a bad experience, we sat outside with two dogs - not a problem, my husband and I both fancied the roast beef sandwich and it was more like a fatty sandwich with a little beef included, definitely not worth the £7.25 price tag. Certainly not worthy of the standard of what the 'Golden Pheasant Inn' was trying to portray - it did appear to be a nice place to eat. Also, we were sat outside on a nice little paved area adjacent to the car park and as the sun was blazing down upon us it would have been nice to have a little shade, there was also a nasty smell, which smelt of dirty drains. Which in itself conjures up all sorts of hidden nasty images. However, my meal was refunded but even so our experience has been tainted. 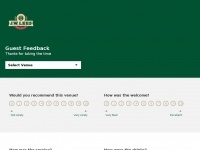 Now, with so many eateries to choose from reviews are definitely a must. very welcoming stay for one night , no problems with the room ,the staff were helpful especially the guy on reception who was very friendly. The breakfast was not brilliant as.the bacon as well as other items were dry, but we would stay again. 0 links pointing to Talktojwlees.co.uk were found. Individual words like Feedback and Leave are frequently used in text links from other websites. The most important links to the website are from Rain-bar.co.uk and Duttonschester.co.uk. The sites /?u=1166&utm_source=pubwebsite&utm_medium=navigation&utm_campaign=Feedback and /?u=1164&utm_source=pubwebsite&utm_medium=navigation&utm_campaign=Feedback are frequently referenced by external sources. The table shows the most important links to Talktojwlees.co.uk. The table is sorted in descending order by importance. The table shows websites of Talktojwlees.co.uk, which are often linked by other websites and therefore they are classified as important content.